The Chicago police officer who killed black unarmed college engineering student, Quintonio Legrier, filed a lawsuit against LeGrier’s family asking for $10 million for suffering extreme emotional distress. LeGrier died from multiple gunshot wounds in the December 26 shooting. The neighbor of LeGrier, Bettie Jones was also killed. Chicago police described Jones as a victim who was accidentally struck and tragically killed. The claim filed on Friday, February 5 by Officer Robert Raimo, alleges the 19-year-old assaulted him with a baseball bat and caused him to suffer trauma. The officer is seeking more than $10 million for “extreme emotional distress” from the LeGrier family. This lawsuit provides the public with Railmo’s first explanation of what occurred. Brodsky admits to People Magazine that it is rare for police officers to sue the families of people they have killed in the line of duty, but defends his client’s right to claim damages. LeGrier’s father and his family have filed a wrongful death lawsuit over the shooting. 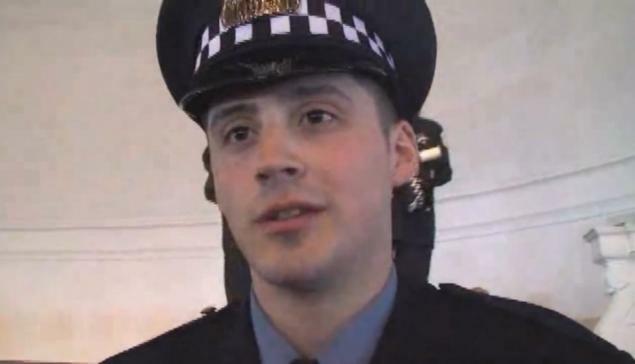 Basileios Foutris, an attorney for the LeGrier estate called the lawsuit “nonsense” and said Officer Rialmo’s account of what had happened was “pure fantasy” in a statement released to the public on Monday, February 8. The shooting further strained relations between the Chicago Police Department and African-American residents as the Justice Department is reviews Chicago police practices.